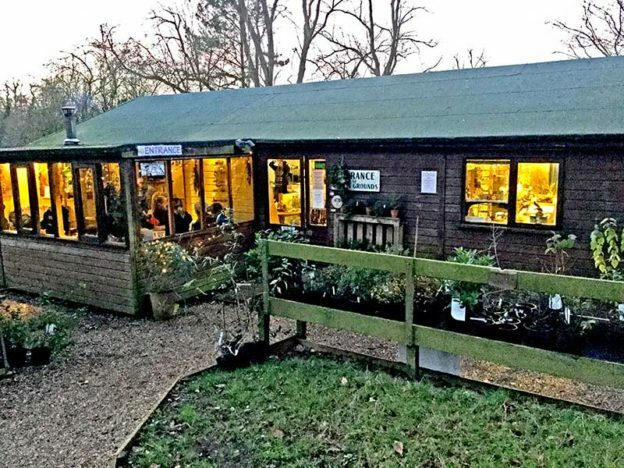 Natural Surroundings is a small business based in North Norfolk close to the town of Holt and just a stone’s throw from Blakeney and Cley-next-the-Sea. We offer a very special combination of wildlife-friendly gardens and grounds, cafe, shop and plant sales. Natural Surroundings is owned and managed by Anne and Simon Harrap, and either Anne or Simon (or both) are usually on site, and are always happy to offer help and advice. October to April: Tuesday to Sundays, 10am-4pm (in addition, open Bank Holiday Mondays and every day during half term weeks and in the Christmas and Easter school holidays). Please note we will be closed from 24-27 December. May to September: Every day, 10am-5pm. Find us on the minor road between Letheringsett (on the A148 just west of Holt) and Wiveton – just follow the brown ‘wildflower centre’ signs. Postcode: NR25 7JN. Free parking; free entrance to nursery, shop, café and tea garden; small charge for entrance to gardens and grounds. Well-behaved dogs are welcome in the shop, café and grounds but must be on a lead at all times. Yet again, we’ve been awarded a Certificate of Excellence from Trip Advisor for consistently earning top ratings from our customers. Thanks to everyone who’s posted! Read our reviews.